My love for BB Creams is no secret. I've reviewed my fair few throughout my time blogging and its safe to say that none have come close to my love for Korean brands. Personally, i have found the UK's offerings to be more akin to tinted moisturisers and many being far, far too dark for me which is something i rarely find with traditional BB's. The Korean offerings also have a whole host of skin loving ingredients in them which our UK counterparts tend to skimp on. Now getting hold of Korean brands can be a pain, the internet is flooded with fakes and all the websites i've encountered ship from outside the EU which means you run the risk of getting slapped with import tax and the dreaded Royal Mail handling fee. Well, not anymore! KC Beautique is a new UK based store selling a variety of Korean Cosmetics including two of my all time favourite BB Creams; the Skin79 Hot Pink (pictured above, I'm currently on my fourth tube of this!) and the Missha M Perfect Cover. Theres a few skincare bits I've got my eye on and I'm excited to see what new additions pop up on the website. For anyone interested, I've also managed to snag you lovely lot a discount code. You can get 10% off any order of £10 and over from now up until June 30th, valid once per customer. Just enter the code KATIEJUN13. You can visit KC Beautique here! I'd just like to say i am in no way being sponsored for this post, I'm just a tad excited about being able to get my paws on some reasonably priced Korean cosmetics here in the UK. 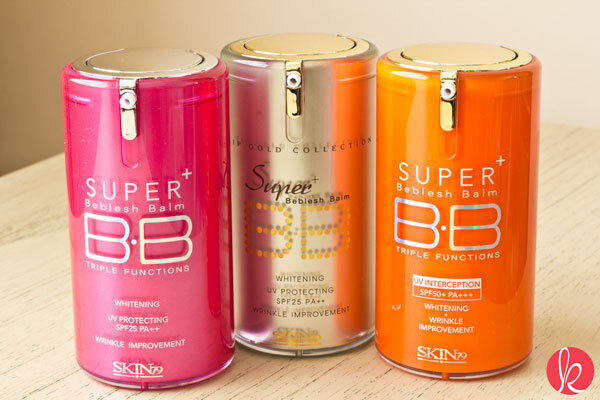 I've even got a little review of the Skin79 Gold BB Cream, which they also stock, coming up soon! I have reviewed the Skin79 Pink (a long, long time ago) here and the Skin Food Red Bean BB Cream here. If you'd like a review of any others or the Missha Perfect Cover (god knows why i haven't review that gem already) then let me know! What is your go-to BB Cream? Guest Post: Gorgeous EOTD from Mad About Beauty! Ain't about what's waiting on the other side.